Kuwait played a key role in mediating a compromise in a 2014 diplomatic dispute between Saudi Arabia, Qatar and other Gulf states. 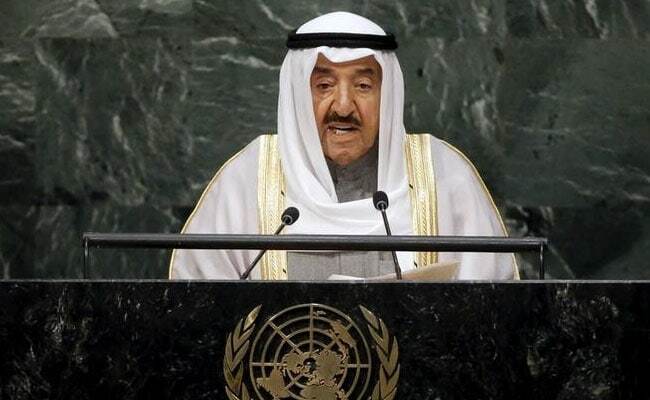 Kuwait City: Kuwait's Emir Sheikh Sabah al-Ahmad Al-Sabah left for Saudi Arabia on Tuesday for talks aimed at resolving a diplomatic crisis between Qatar and other Arab nations - Egypt, Bahrain and United Arab Emirates. The official KUNA news agency said the Emir left for the western port city of Jeddah at the head of a high-level delegation including the foreign and information ministers. The Emir was aiming to mediate in the dispute between Qatar and its Gulf neighbours led by Saudi Arabia, lawmakers in Kuwait City said earlier. "We pray to God to help him succeed in achieving Gulf unity," veteran MP Ali al-Deqbasi said during a parliamentary session. Saudi Arabia, the UAE, Bahrain, Egypt and Yemen on Monday cut diplomatic ties with fellow Gulf Cooperation Council (GCC) member state Qatar. Qatar's Emir, Sheikh Tamim bin Hamad Al-Thani, has delayed a speech planned for broadcast on Al-Jazeera at the request of the Kuwaiti ruler, the Qatari foreign minister said. Sheikh Sabah has urged his Qatari counterpart "to exercise restraint" and "give efforts aimed at containing tensions between brothers a chance," said the Kuwaiti news agency KUNA. Kuwait, also a GCC member, did not join its neighbours in severing ties with Qatar.